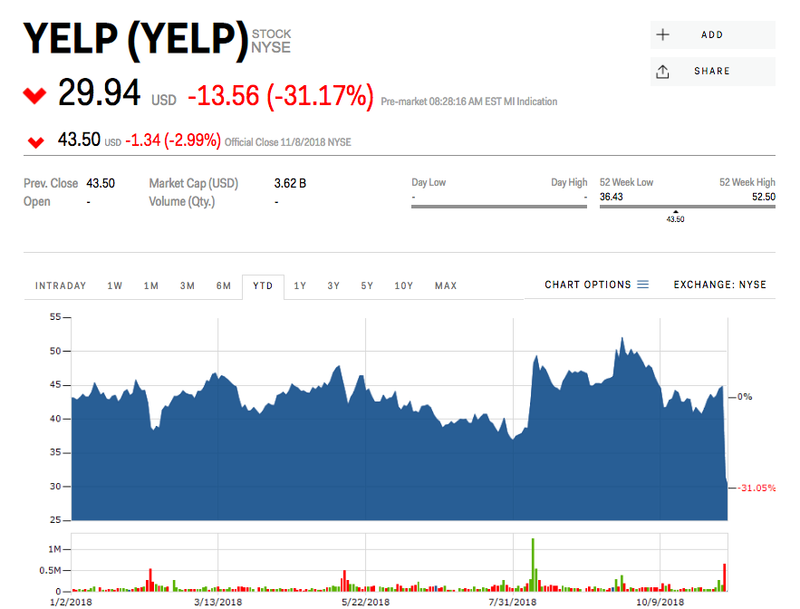 „Although we achieved our adjusted EBITDA outlook for the third quarter, revenue was lower than we anticipated,“ Yelp co-founder and CEO Jeremy Stoppelman said in the press release. But at least some Wall Street analysts remained optimistic following the disappointing quarter. A Jefferies team led by Brent Thill maintained its „buy“ rating, but lowered its price target from $55 to $45 — 51% above where shares were trading ahead of Friday’s opening bell. „3Q exposed the near-term volatility around the shift to non-term contracts, with weaker than expected net new account adds centered around operational salesforce challenges,“ they said. Yelp shares were down about 29% this year, including the post-earnings plunge.